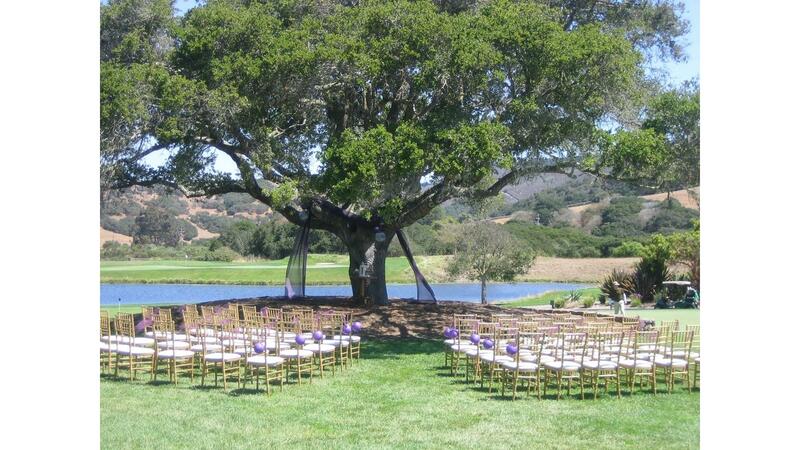 Rent Pasadera Country Club | Corporate Events | Wedding Locations, Event Spaces and Party Venues. The ornate charm and elegant, old-world Spanish décor are paramount to Pasadera’s distinctive hacienda setting, whether it’s for an intimate wedding ceremony, or more elaborate celebration. Pasadera provides the flexibility and ambience for a captivating, memorable event, with each accoutrement tailored to complement the theme and spirit of the occasion. Providing the ultimate in personalized service, the Club staff will plan and execute every detail for the occasion. Pasadera’s Executive Chef will customize the menu to your particular tastes, and the extensive wine list allows for a variety of options. Pasadera’s staff also has direct access to the premier event specialization resources on the Monterey Peninsula, perfect for coordinating flowers, photography, entertainment and more.